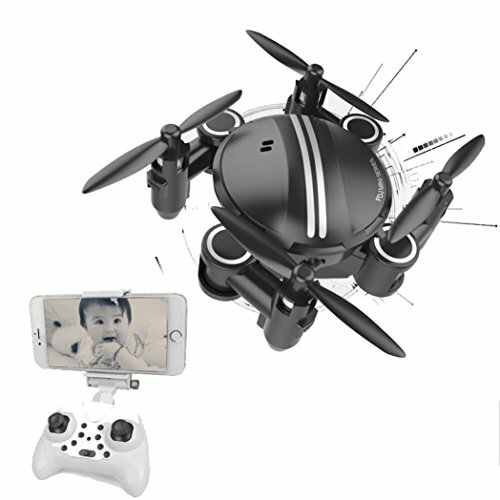  Mini RC Quadcopter- Up/down, left/right, side flight, hovering.  4 channel mini quadcopter.  Built-in six-axis gyro feature ensures a stable flight.  Gravity sensing mode makes it more interesting to control the drone.  With 0.3MP camera, it enables to take pictures and record videos.  Wifi real-time FPV brings the world in front of you.  With LED light for night flight. View More In Lawn Games. If you have any questions about this product by Gbell-USA Warehouse, contact us by completing and submitting the form below. If you are looking for a specif part number, please include it with your message.